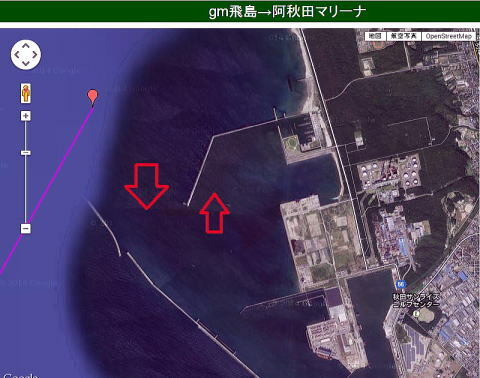 Update: The approaching route to Akita Marina has changed from July, 2013. 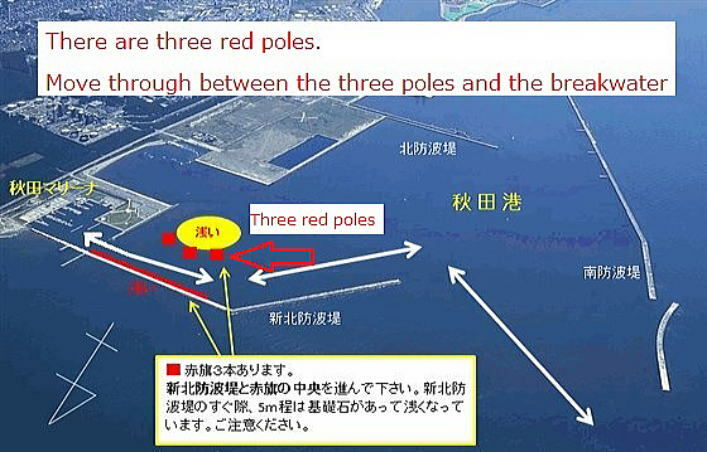 You now enter into Akita Marina from the west, as you see on pictures above. 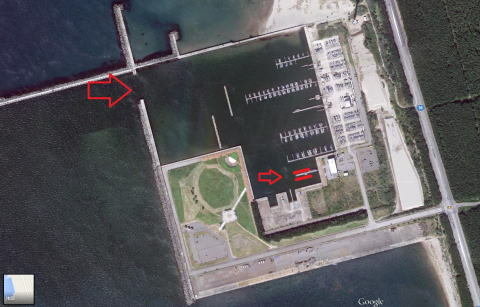 The visitor berth was the innermost long pontoon in front of a triangle arcade next to the marina office. I was not able to identify it before I came close to it in the marina. The marina staff is kind and the facility is clean. 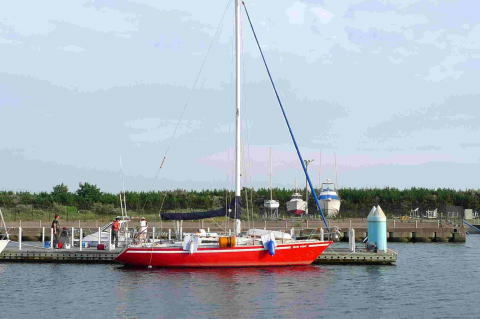 But, the marina is inconvenient, because its nearest town is 6 km away. It is too far away even if you have a bicycle. No restaurant, no shop, no coin laundry or no bathhouse around. Water and power are at the visitor pontoon. You can buy the fuel at the marina. Toilet and hot water shower are available inside the office building. The shower room has washing machine. The marina is managed by Marina Akita Company, which also manages Honjo Marina and Oga Marina both in Akita Prefecture.